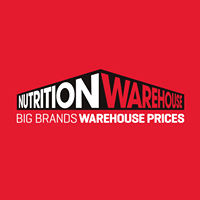 Nutrition Warehouse is a retailer of sports, bodybuilding, and general health supplements with physical outlets in 20+ locations all over Australia as well as an online store. This company has an extensive variety of supplements and other fitness equipment and merchandise available for purchase. Nutrition Warehouse allows orders to be placed through its website, where consumers pay an extra fee on orders below 150 USD. This website allows payments to be placed through PayPal, direct deposit, or by credit card, depending on customer preference. Items can be shipped nationwide, however does not currently support delivery outside of the Australian area. For most up to date offers check out Nutrition Warehouse on Facebook and Twitter or contact Nutrition Warehouse Support for any questions.